Today I am sharing the recipe of Kerala style Potato stew which is an easy and delicious curry. 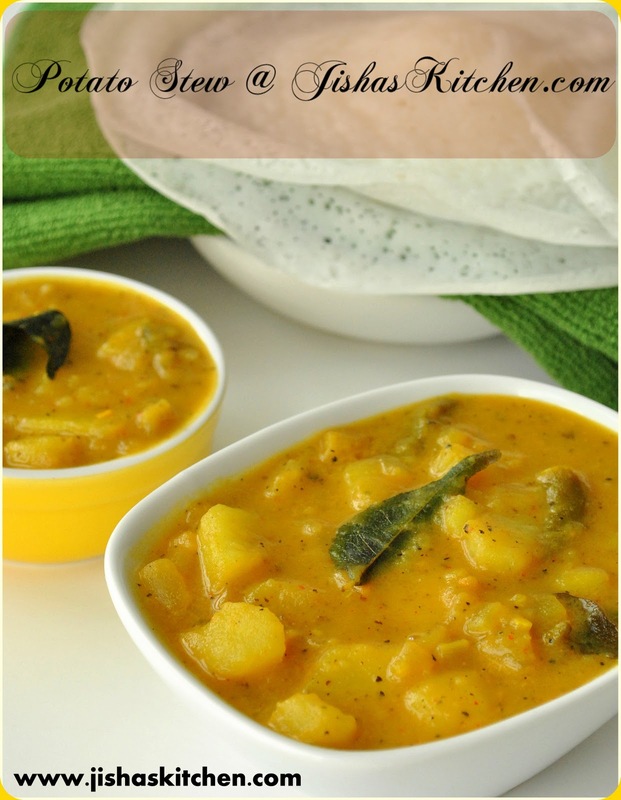 Appam and potato stew is a great combo and my mom used to prepare this for breakfast. 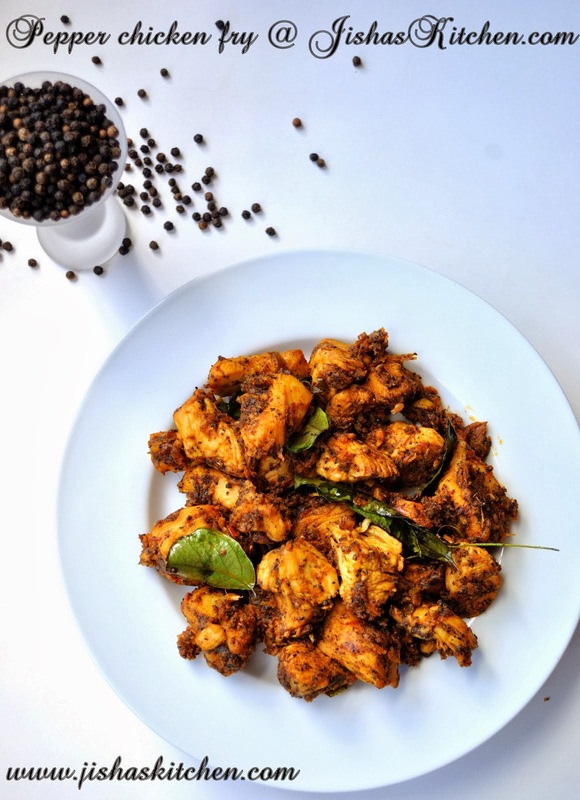 You can even have this curry with Idiyappam. Traditionally potato stew is made by just cooking the potatoes, green chillies and other vegetables in coconut milk by just adding pepper powder but my mom used to prepare it differently. So here comes by Mom's version of Potato Stew. First wash and peel the potatoes. Then heat oil in a pan and add chopped onions, chopped ginger, chopped garlic and green chillies and saute till onions become soft. Then add turmeric powder, chilly powder and garam masala and fry for less than a minute in low flame. Then add chopped potatoes and cook the potatoes by adding enough water and salt. 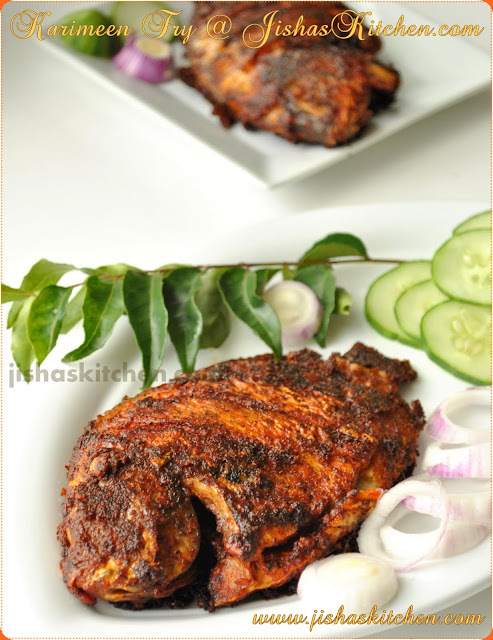 Then add 3/4 cup of thin coconut milk, curry leaves and black pepper powder and boil it for another 5-10 minutes. Then finally add 1/4 cup of thick coconut milk and remove from the flame after 2 minutes. Note: I used maggie's coconut milk powder for making coconut milk. You can even used canned coconut milk or extract it from grated coconut. Enjoy with Appam or Idiyappam. coconut milk is a very nice base to curries...this potato curry looks yummilicious! Give me potato in any style n I'll eat it :) Luv the kerela style though. Potato stew looks delicious, when i make them I won't add any turmeric powder. finger licking good ! loved the click ! This potato stew looks so delicious. Love the spices used. Jisha, you do great dishes. ente fav annu jisha....nalla color...lovely click! Delicious stew, with appam adipoli.. Such an inviting and delicious potato stew..yumm! 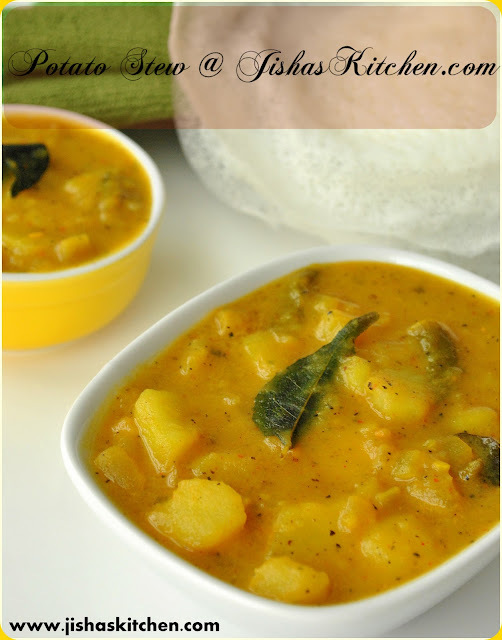 Perfect Kerala style potato stew.. Potato stew adipoli :), but njan turmeric and red chilly powder edarilla tto, only green chillies and pepper. next time will try this way..
Wow..that looks delicious, comfy n homey! Love this naturally creamy potato stew,looks super yummy. but i make it way different though!! jisha dear i tried this with dosa and chappathi .....its nice .thanks for such a simple recepie. Beautiful click and looks yummy!